Yesterday, we talked to Mike from Ella Park Bridal in Newburgh, Indiana to see what he had to say about his new bridal shop software, BridalLive. Mike has been instrumental in providing feedback and suggestions for BridalLive enhancements. Many of the features you see in BridalLive are a direct result of his feedback. We hope you enjoy the interview! Tom: Tell us a little about your shop? 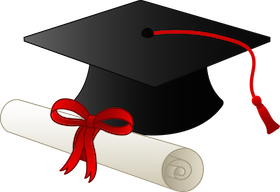 How did you get into bridal, your location, how long in business, sq footage, etc. Mike: Back in 2004, we made a decision to get out of the corporate world and start our own business. 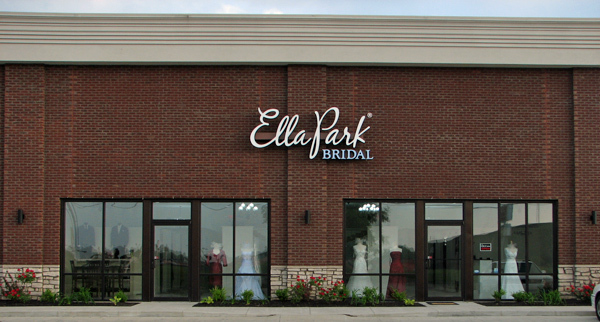 With the help of another couple, we launched Ella Park Bridal as a pure ecommerce system. Lisa and our 2 daughters are all 10 year members of the local 4H program and as kids earned many awards for sewing and creative projects. After establishing ourselves online, we moved to our present location (about 2800 sq ft) and opened our retail store. We are located in historic downtown Newburgh Indiana and are looking to expand into a new location within the next 12 months. Tom: What made you choose BridalLive over the other bridal-specific software vendors? Mike: I liked the ease of use, the constant willingness to add specific features for the bridal business and the program’s small footprint. It is intuitive, easy to understand and fast. Tom: How long did it take to learn to use BridalLive? How long to train your staff? Mike: Learning the software was simple because it works like the paper forms you used previously. We were using QuickBooks, which does a decent job, but there were issues with finding a customer, their orders, event date, etc…plus we had to have multiple licenses for each computer. The girls have found BridalLive to be easier to use and training them was simple because the system is intuitive. Tom: Has BridalLive improved your bridal shops operations? How? Mike: We are more organized, eliminated the paper contact forms, keep our customer file updated with each “touch” (phone call, email, visit to our store). The online marketing tools will prove to be a winner as we develop them into our marketing programs. Tom: What is your favorite feature of BridalLive? Mike: Too many to mention them all, but several include all the “bride” information on the contact center including event information, measurements, items tried on, orders and items purchased…the point of sale is easy to use and now features your own customizable “Terms and Conditions”; inventory look-up is very fast and there are a multitude of ways to find the item; and of course my latest favorite feature…the ability to not only import items but the ability to mass change items. This is an easy way to correct some of the implementation issues we had once we started using the system everyday. Tom: Would you recommend BridalLive to other bridal shops? Why? Mike: I would recommend BridalLive to any shop wanting to get a handle on their contacts, orders and inventory. The cost is minimal when compared to other systems…and the best part is you actually respond to questions and issues in a timely, efficient and effective manner. If it had not been for the overwhelming support, I would not have taken a chance on this system. We want to thank Mike for taking time out of his busy schedule to share his thoughts and insights with everyone.